Do you think the new traffic lights at the bottom of Elizabeth Street will help reduce traffic congestion? 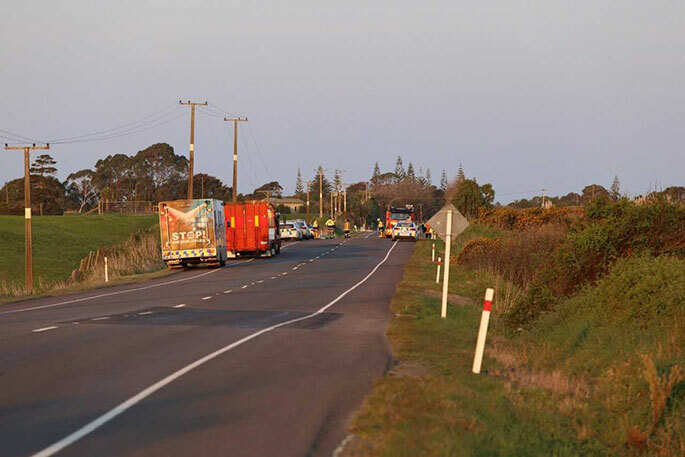 SH2 is open this morning following a double fatal crash which closed the road near Pukehina for several hours yesterday. Photo: Cameron Avery. Western Bay of Plenty Mayor Garry Webber is supporting the rights of a local lobby group to protest on State Highway 2 this Sunday. Fix The BLOODY Road group and other community members are joining forces to protest about inaction regarding State Highway 2 upgrades. “Western Bay residents know only too well how dangerous this road is,” says Garry. “Fatalities and crashes are becoming a regular occurrence and the sub-standard quality of the road compared to traffic volumes is the primary problem. 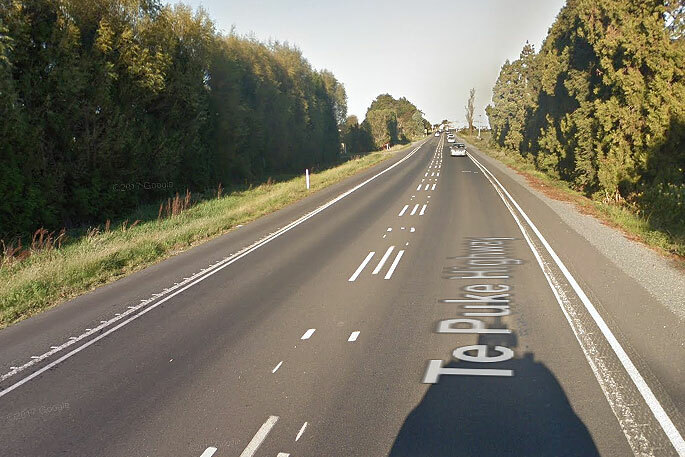 This week alone, there has been four deaths on Western Bay of Plenty roads in four days. Two people died in a logging truck and car crash on SH2, near Pukehina. 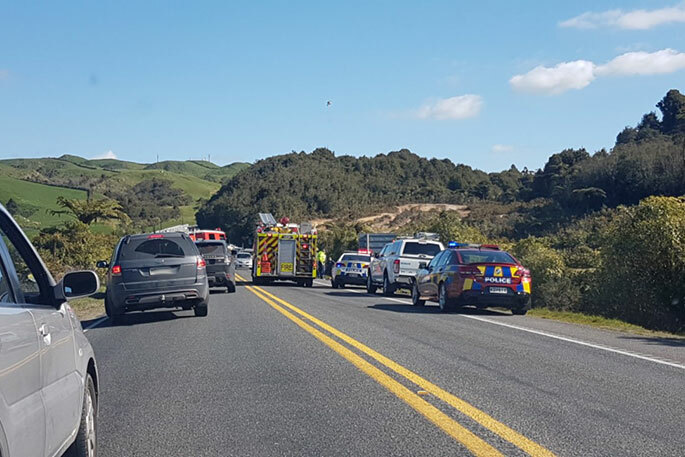 Another person was killed on SH29, near Old Kaimai Road, when a transporter truck and car collided on Wednesday afternoon. Delays are expected on SH29 between 12pm and 3pm today, as a vehicle is recovered from the crash site. 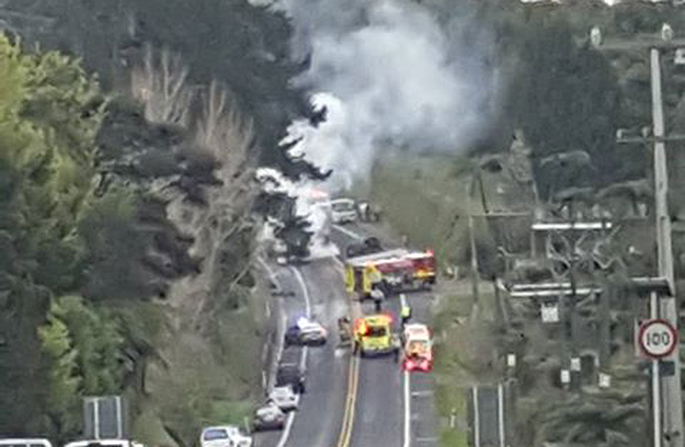 Emergency services at the scene of the fatal crash on SH29 on Wednesday. On Monday afternoon, SH2 south of Katikati was closed for several hours following a crash between three vehicles. Steven Hart died as a result of the crash. The fatal crash on SH2 on Monday. Garry says Western Bay residents want a straight answer from Central Government and the New Zealand Transport Agency (NZTA) about what exactly “their commitment is going to be to remedy this sub-standard highway”. This Sunday’s protest will see campaigners muster at Wairoa River Reserve at 2.30pm, to cross the bridge together as one from 3pm sharp, then return. Think about this. If the road is at fault, how come millions of other road users on the same road, who have been using the road almost every day for 50years have not had a crash? Simple, they are better drivers who concentrate 100% on their driving. I am bemused by the fact the Mayor is passing the buck. We pay the most expensive rates in the Country. I live in Pukehina, We get absolutely nothing... but absolutely shoddy crap from the Council and worse the contractors it employs. In return we are expected to pay for everything on top. Time somebody stood for Mayor for the correct reason why they exist. The Rate Payer and not too find any futher reason to rip them off. SH2 can no longer cope with the traffic volume. I am fed up with people just blaming poor driving for these accidents and that we should all just drive to the conditions. Whilst superficially true, the same argument could be made for never moving beyond having dirt tracks for roads. SH2 is a very busy road. It is congested. This means that any mistakes we make (and we all make them) have a much higher probability of a nasty consequence. The road has some dangerous corners; many intersections are fraught with risk from poor visibility, and others like that with Omokoroa now wholly inadequate for the traffic volumes. The road has almost nowhere to overtake despite being used by large numbers of slow traffic types such as campervans, heavy trucks, agricultural vehicles and the elderly. This engenders frustration and risky passing manoeuvres. Overall though, upgrading SH2 is needed because the road can no longer cope with the volume. While I agree with previous correspondents about appalling driver behavior on our roads, and the need for a constant, dedicated police presence (amalgamating police and traffic services was an appallingly stupid decision) the fact remains that those stretches of Western Bay roads under question urgently need upgrading. Central government has to stop being so stubborn, petty and vindictive. This isn’t about who’s idea it was. It’s about road safety and bringing these roads up to the standard needed to cope with growth in this region. Without wishing to capitalise on the enormously far-reaching tragedies of this past week, I would appreciate the opportunity to make a comment.... As a person who can claim to know something about road safety education, traffic engineering, and enforcement practices, I will say that it is clearly apparent to me and those whom I speak with, that current enforcement practices are abysmal, when compared to what should be needed, and what would make a difference! ... This is not me knocking PC’s! ... However, we surely can all see the errant & deviant activities that road users continue to get away with, and which do not seem to raise an eyebrow with enforcement planners. Bill Gibson-Patmore. All you people that can only respond to these articles with "it’s not the road, it’s the crap NZ drivers" should join the flat earth society. The answer to road deaths is not simply a few plastic cones & a slower speed limit. Sure, we all need to be more careful & considerate, but sooner rather than later, someone needs to take responsibility for upgrading the infrastructure to cope with the population growth. Time for the elected officials to earn their keep. ..with Road Ranger and Slim Shady re driver behaviour- it can be a frightening experience on our roads. We also have a big drug problem in this area, how much of this driver behaviour is due to drugs? The police also need to be taking unroadworthy vehicle off the roads, like they used to do. Around Te Puke the number of wrecks driving around on the roads is astounding. How can these vehicles keep drivers safe if tyres are bald, rust is through the bodywork, etc etc. Once upon a time you got pulled over for having a tail light out. The four deaths this week were not on this stretch. So do all the roads “need fixing”? Me thinks not. It’s Kiwi driving that needs fixing, and this attitude to “the road” says it all. How many of these accidents have been caused by the roads? 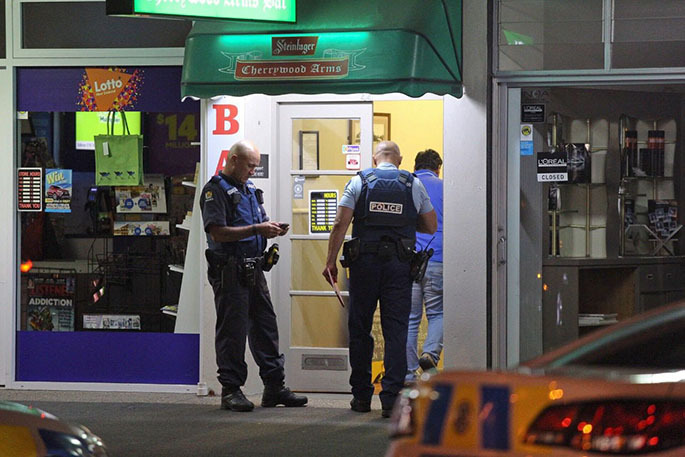 We have some very poor drivers on the roads in NZ and more education and training is required. The Police need to be more visible on all highways and roads to enforce the laws. Only today a car passed me on double yellow lines and another person going the opposite direction was talking on their cell phone. Look at the speedsters around the Baypark roadworks!! Copyright © Sun Media Ltd 2019.